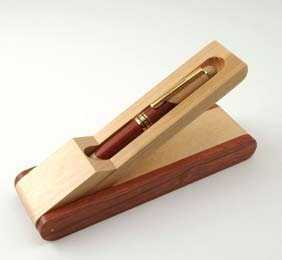 Unique fold open design reveals one pen and creates a smart looking stand. 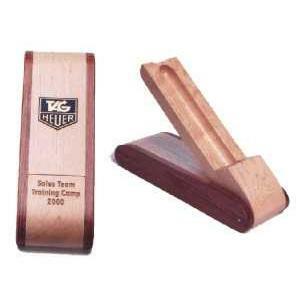 The large Maple engraving area engraves fast and with excellent contrast. 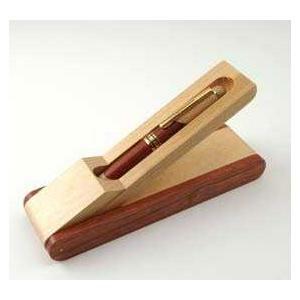 The perfect way to show off an engraved pen! 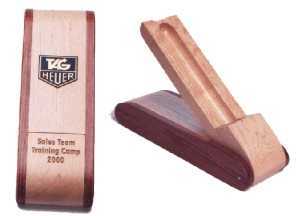 2-1/4" x 6-3/4" x 1"